Kodi is one of the significant traditional media apps nowadays. The reason is its amazing features. Kodi is open source software and is available on different operating systems. With Kodi, you can play any type of media without any problems. The best thing about Kodi is it allows you to play media in different formats. Another useful feature of Kodi is its control. You can connect your device with TV to control and play the media from some distance. In other words, you can control the media on your TV like a remote. In this post, we will show you how to download Kodi on iPhone or iPad running iOS 11 or iOS 10 without jailbreak. So if you want to enjoy music, TV shows and movies on your device, you will need to install Kodi on your iPhone. Unlike on its release, it is available on iPhone without jailbreak now. You can easily install it on your iPhone. All you need is to follow some simple steps as mentioned below. 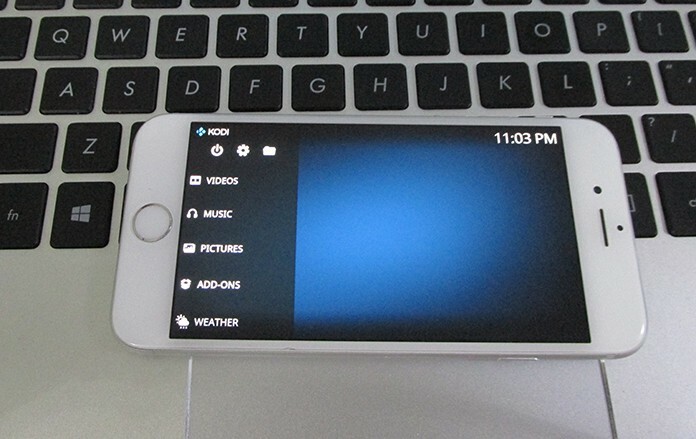 You will need a couple of things to install Kodi app on your iPhone. Have a look at the requirements for the installation. 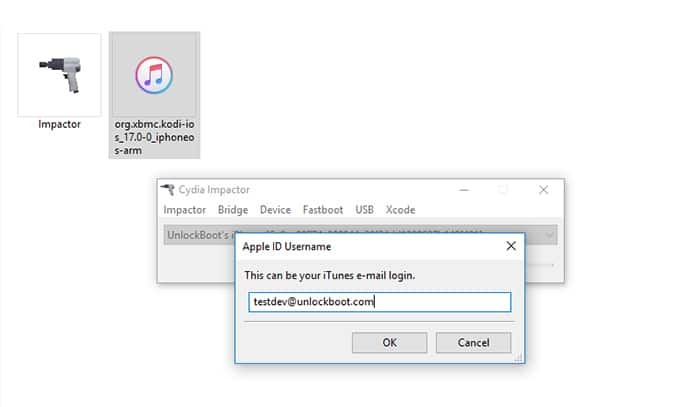 Initial to all, download and install the Cydia Impactor app on your computer or Mac. This app is available for either your Mac or computer. Simply go to our website and download the latest version of this app for your system. 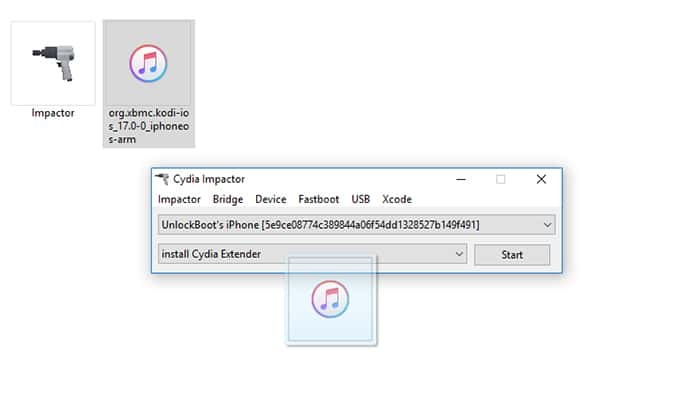 Step 1: Open the Cydia Impactor app on your computer or Mac. Step 2: Now connect your iPhone to the computer using a USB cable. Step 3: You will see the list of connected devices on the Cydia Impactor app, click on the drop-down list and select your device. Now your iPhone is selected in the Cydia Impactor app. Step 4: Now you will have to get the IPA file of Kodi app. this file is necessary to sideload the app on your iPhone. You can download this file from our website. Step 5: After downloading the IPA file click and drag it to the Cydia Impactor app. Step 6: It will ask to provide the Apple ID for it. You can use any of your Apple ID to install Kodi on your iPhone.Put the ID and Password in the bar. Step 7: Now hit OK and it will start sideloading the Kodi app on your iPhone. After a few time, it will sideload the app on your iPhone. After the installation of the app, you will need to trust the app as you didn’t install it from App store. The device will not allow the app to run. To trust it, go to the Settings app, then navigate to General and open Profiles and Device Management portion. Here you will see the list of installed apps under your Apple ID. Here you will have to click on the Kodi app and click on Install option. You are all done now. You have successfully installed Kodi on your iPhone without jailbreak. Now enjoy it on your iPhone without any problems.